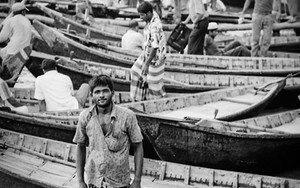 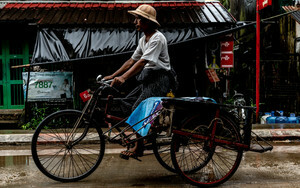 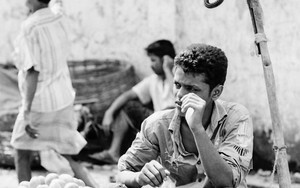 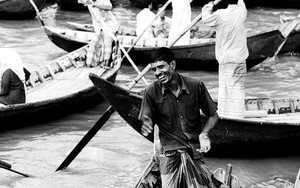 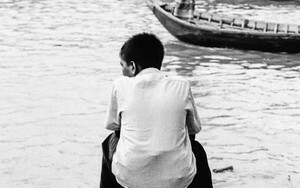 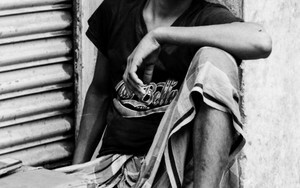 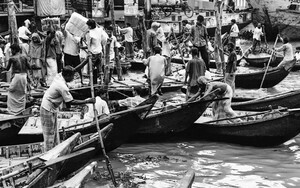 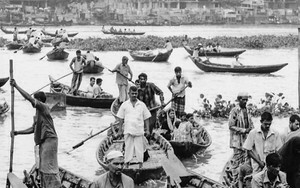 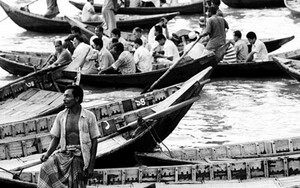 The locals came to the wharf to take a small boat to cross the Buriganga river because there was no bridges around here. 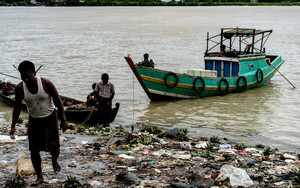 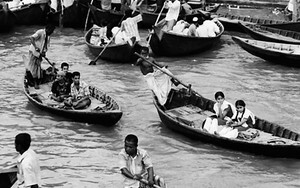 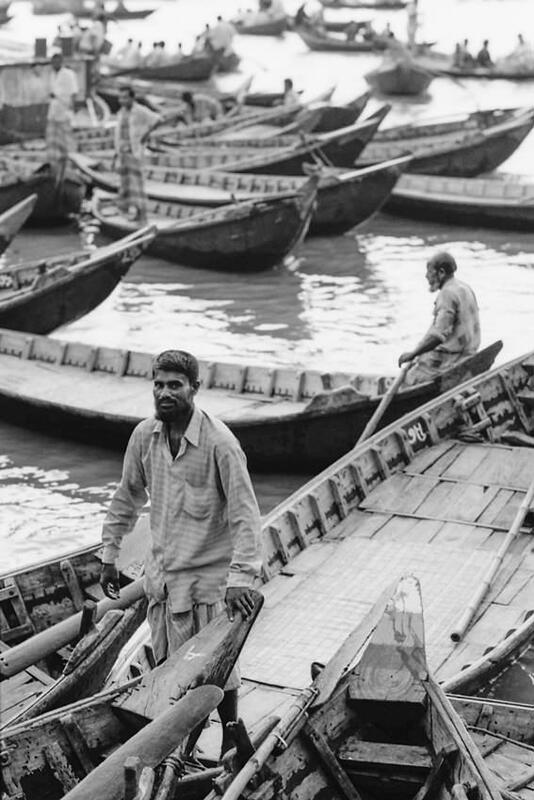 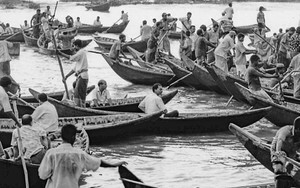 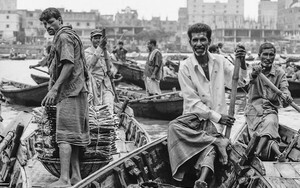 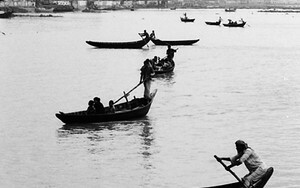 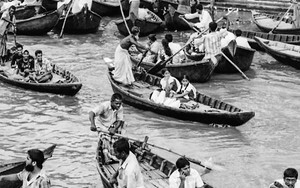 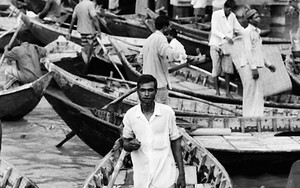 So the wharf called Sadarghat was jammed with wooden small boats. 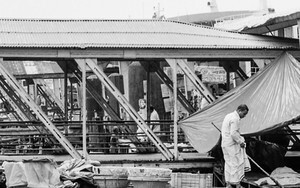 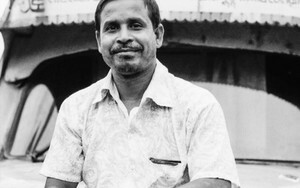 A man wearing lungi was standing on the edge of one of them.